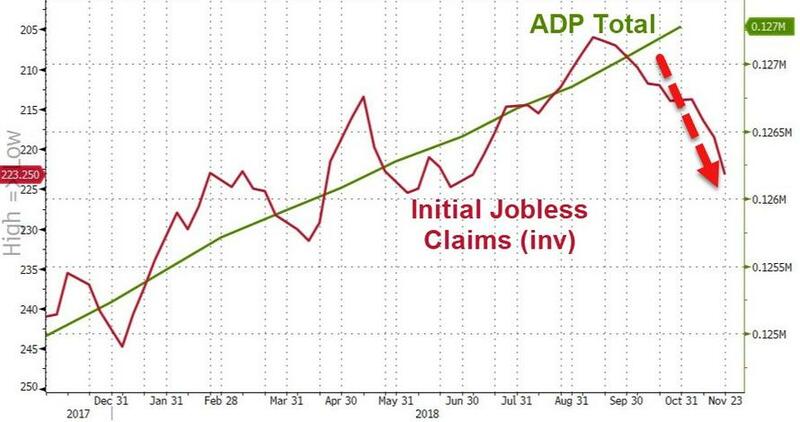 ADP Employment Disappoints: "Job Growth Has Likely Peaked"
With initial jobless claims breaking their positive trend, ADP (and tomorrow's BLS data) are left to confirm the "strong economy" narrative with their linearly extrapolated jobs growth trends. 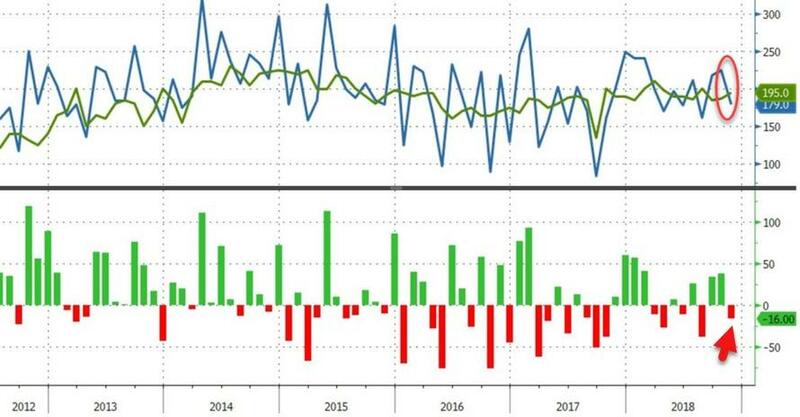 “Although the labor market performed well, job growth decelerated slightly,” said Ahu Yildirmaz, vice president and co-head of the ADP Research Institute. Which do you trust? 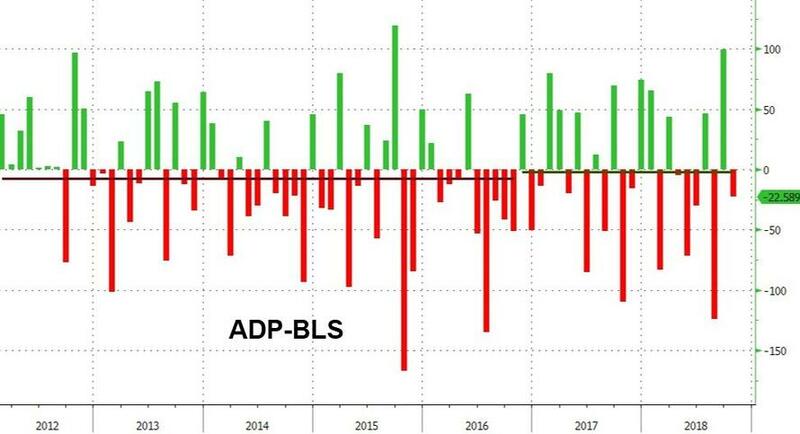 The higher frequency claims data or the seemingly linear long-term magical trend of the ADP data?